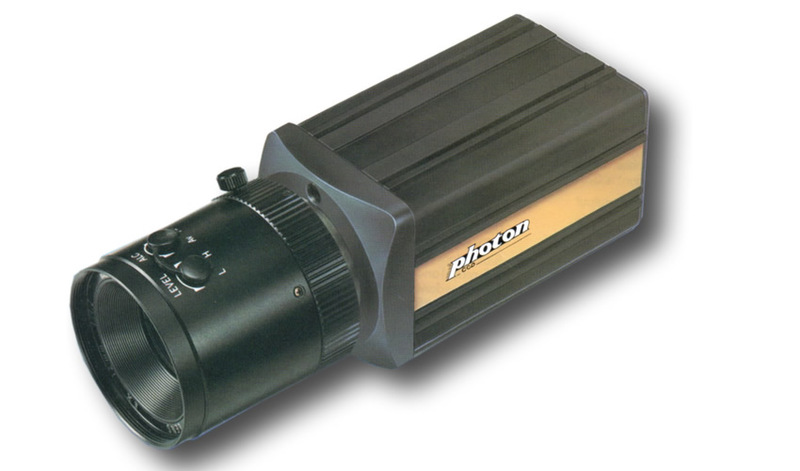 EEV CCD Television Camera type "Photon"
This camera, P85xxx or P86xxx is the base model of a range of cameras that had numerous options including:- intensified low light, remote heads, Peltier cooled. All with 525/60 or 625/50 TV standards. Power = 12V. at less than 4W. There was also a colour Photon that was manufactured in Japan using a PC46320 sensor. The first EEV CCDs were develpeoped at the GEC Hirst Research Centre, in Wembley, UK. A dedicated wafer fabrication plant was established at the main EEV site in 1985.